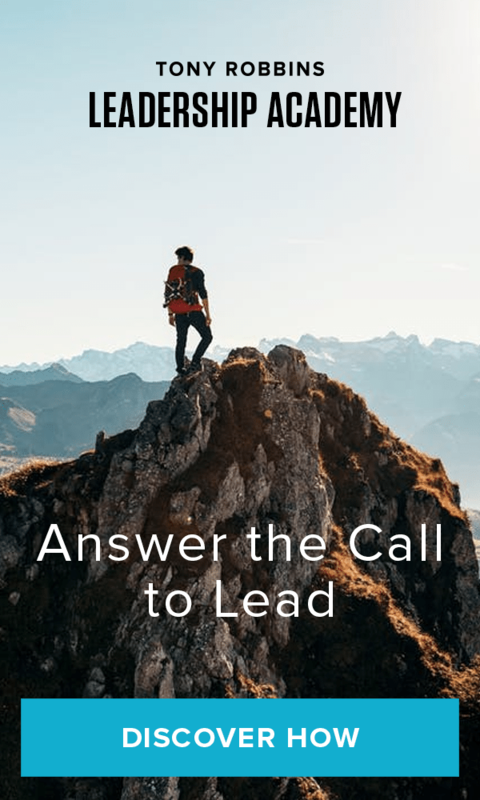 When you think of leadership, do you credit leaders in your local community and personal circle, or do you reserve leadership for those great, powerful figures – the ones who lead countries, touch millions and are revered in history books? The truth is, you encounter leaders at every level – your work, your personal life and your community. Leadership skills are essential no matter who you are, what you do or what your purpose is. At Leadership Academy, get 1:1 leadership skills training that breaks down the the exact strategies Tony Robbins uses to influence millions of people from around the world to transform their lives – to create lasting change. What if you had the chance and power to change the world? At Leadership Academy, you’ll learn about Tony’s 7 Master Steps to Produce Lasting Change and how to use the Triad – Tony’s proven method to instantly shift anyone’s emotions in an instant – to positivity influence yourself and others. With real-time 1:1 leadership training, you get immediate practice and receive feedback on everything you’re learning, giving you renewed confidence and certainty to implement these skills and create lasting change when you return home. Following Leadership Academy, the leadership skills Katie & Lynn learned over four days transformed their lives and helped them empower their teams back home. They loved it so much, they came back 2 years in a row! Watch the video below to see Katie & Lynn’s amazing experience at Leadership Academy, and discover the power of Tony Robbin’s Leadership Academy! The world need leaders now more than even and the ability for you to become a great leader is well within your reach. Take the first step! Go ahead – listen to that small voice inside encouraging you to dream a little bigger and do a little more – start your path to great leadership today.